I’ve seen more payday loan advertised on the television and online and thought it would a good opportunity to discuss alternatives to payday loans and how you can build savings for future emergencies. I think in this economy more and more people are realizing that they need to watch their budget closely. For some families they are working hard to keep their spending under their income. They’re surviving paycheck to paycheck. A portion of them are able to save just a bit after paying all of their expenses, but suddenly an emergency expense comes up and throws their delicate finances in for a loop. They don’t want to ask their friends for a loan and they have no money in their credit card to use as a quick fix. Payday loans become a real option to people at such times. However, you may not have considered some cheaper options available to you already. 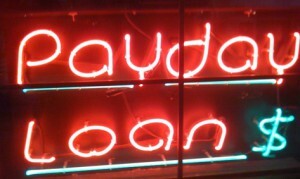 Avoid payday loans if possible. You may surprised to learn that some credit unions and local banks off small loans to members and customers. For example, here in North Carolina, the State Employees’ Credit Union offers a salary advance loan. As the name suggests, if an emergency comes up and you need a loan (up to $500) to tide you over until your next paycheck you can use it. It’s a lower rate than many payday loans out there. More importantly it’s part of a system designed to keep you away from the cycle of debt and into savings. I did check around and other local banks offer something similar. They may call it a personal loan and the amount is usually capped around $1,000 or less. You may not believe this, but sometimes you can work out a payment plan with some business owners. My mother’s car need some repairs and it was more what she had saved. Since the mechanic shop was locally owed, he was willing to work with her on a payment plan of 1/2 up front, 1/2 when she got paid again. Don’t think this was a special instance, with some owners getting less foot traffic, they may be more willing to work with you. You don’t lose anything by asking and you may get an option that helps you avoid debt. It can be hard to find extra money, but if you have a lot of stuff at your place, you may want to sell it to get some of the money you spent back. Where can you sell your stuff? Have you tried considered these places? Sell where you feel most comfortable. Some people prefer working with someone face to face and while others just want it sold online. If you’re looking at selling your stuff online, but you don’t know where to start I suggest using Baker’s guide on selling your junk. The guy is a master – his family sold their junk and spent some time exploring the Pacific. Having a financial cushion is a goal of many families as they are building their finances. If you’re looking for something more tailored to your family’s needs, then there are several factors to consider when determining your emergency fund. Family Size – If you’re a dual income couple with no kids or other family obligations, then you’ll probably won’t need as a big of en emergency fund as a family of 5. Family Expenses – Your family’s lifestyle has a big effect on the size of your emergency fund. If you have high monthly expenses, then logically, you’ll need more money to save. If your expenses are due to unnecessary spending, then you may want to discuss ways you can lower it. If it’s due to circumstances (i.e. medical bills), you’ll have less room to work with. It’s still possible though to explore options to lower your bills. Income Streams – If you have 2 or more income streams coming in, that can decrease the size of your emergency fund. You should still have one though, as unexpected events can happen. If you’re still stumped than shoot for 3 months worth of expenses. If you follow these guidelines, you’ll have a better chance reaching your financial goals. 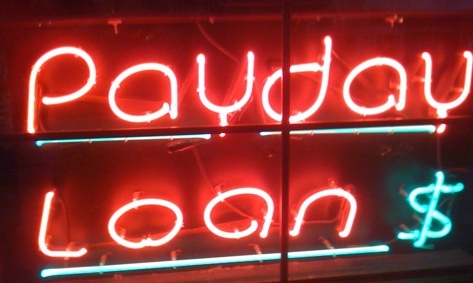 Have you ever had to use a payday loan?